Who wants a nice pink bucket bag from Cava? Or a set of bangles perhaps? Let’s make it short and quick, shall we? 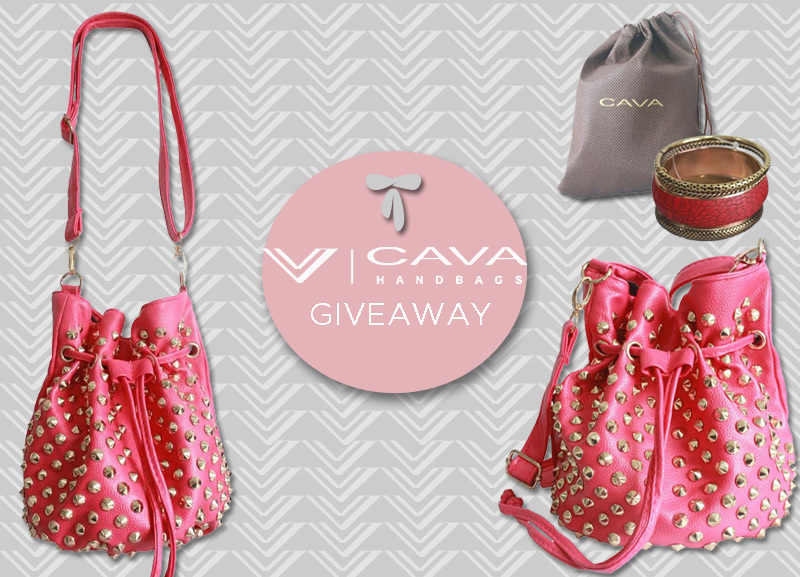 For this giveaway, CAVA is giving one lucky reader this pink studded bucket bag and 2 runner-ups a set of bangles each. I personally would love to have this bucket bag but I can’t join my own giveaway haha! Like Cava Handbags on Facebook and follow @cavahandbags on Twitter. Post the photo above on your Facebook wall with the caption: “I’m joining this Cava Handbags giveaway on www.itscamilleco.com ! ” Make sure to tag Cava Handbags. Leave a comment below with your Facebook name, Twitter name and link to your tweet. Cava Handbags is available at Robinson Department Stores at Robinsons Magnolia, Robinsons Ermita, Festival Mall, Robinsons Galleria and Metroeast, The Ramp stores, and online at Zalora. I fell in love to this bag at first look! My favorite color is pink and I love collecting bags.. This is one of my guilty pleasures.. I hope I could have this on Christmas while walking with my family for a happy bonding.. My sister would love this too.. She used to borrow my bags on certain occasions..
Maybe give me some insights on how to make it fruitful and enjoying to read.